As the National Resource Centre for Dance (NRCD), we collect, preserve and make available materials that represent a wide range of theatrical, educational, and theoretical dance development. Included in our holdings is various material relating to the Russian prima ballerina Anna Pavlova (1881-1931). Items include photographs, ephemera and rare published works on the ballerina. Surprisingly, one noteworthy related item comes not from our NRCD holdings but another collection, the personal papers of the illustrator E.H. Shepard (1879-1976). In a letter from Shepard to his wife Florence on 14 February 1912 (ref no. EHS/C/9/13/6), Shepard describes having seen Pavlova dance. He writes “she is glorious, you can’t imagine her, it’s quite unlike anything I’ve ever seen”. He then goes on to recount her arrival at the theatre, “she looked so white and tired, but a very sweet face, on the stage she looks quite divine”. Items such as this reveal how interdisciplinary archive collections can be, and how exploring collections can uncover unexpected connections to different subjects. Pavlova’s birthday falls on 12 February and she is currently featured in our Research Room display, Extraordinary Women, exhibited until the end of March. 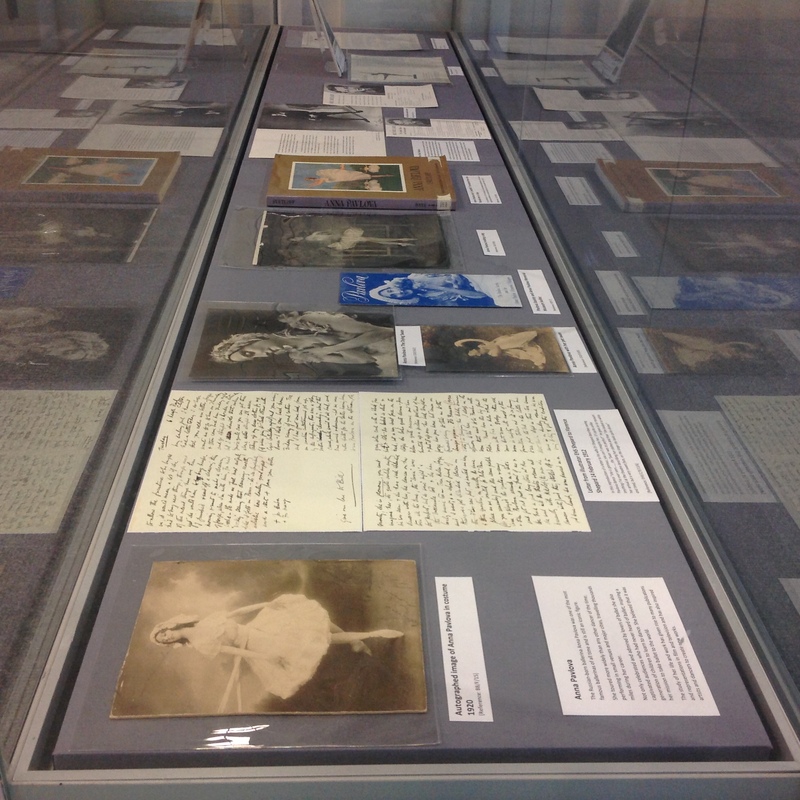 As well as Shepard’s letter, the display includes a professional photograph of Pavlova in costume for a performance of The Dying Swan and a personal portrait of her with her own pet swan, Jack. Another serendipitous moment came recently when I visited Tate Britain’s current exhibition Edward Burne-Jones. 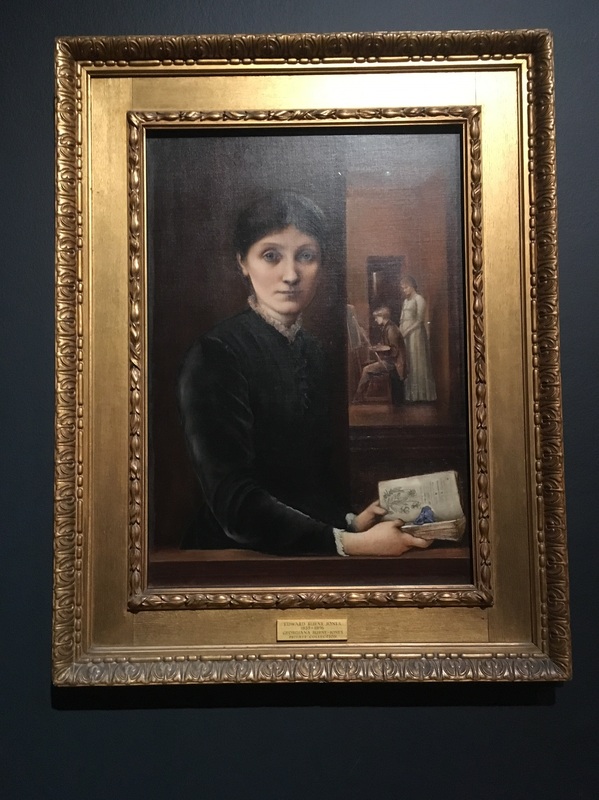 In Burne-Jones’ Portrait of Georgiana Burne-Jones featured in the exhibition I was interested to spot that Georgiana is depicted holding John Gerard’s The Herball or Generall Historie of Plantes, the most prevalent botany book in English in the 17th century. Edward Burne-Jones’ Portrait of Georgiana Burne-Jones (1883) hanging in Tate Britain’s exhibition. 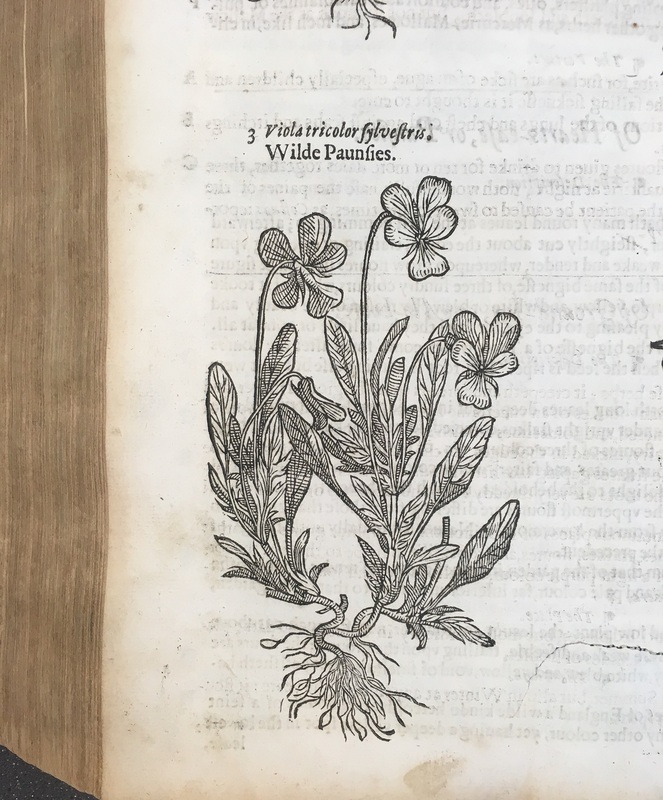 The book was likely included in the portrait to suggest Georgiana was educated and well-read, but its appeal for me came because we hold a copy of Gerard’s Herball in our special collections, published in 1633. 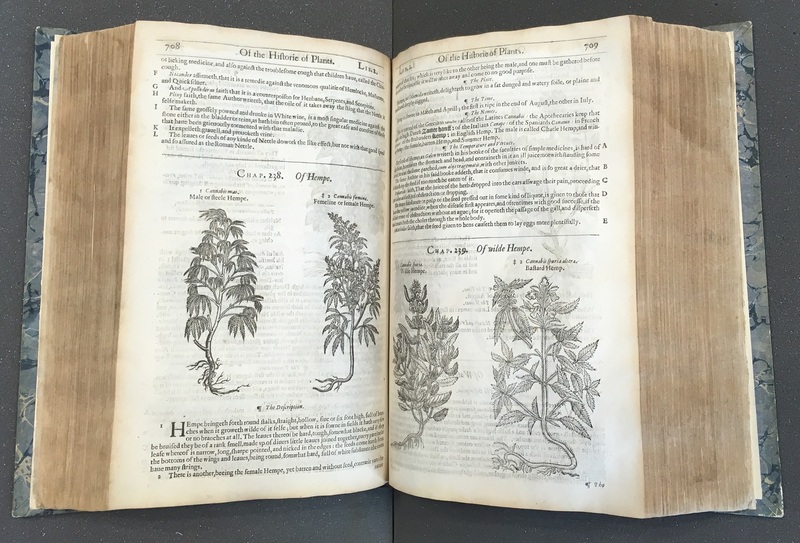 It was an enjoyable activity looking through the weighty book reading about the properties and virtues of different plants as Georgiana may have done well over a century earlier. Is this the illustrated plant Burne-Jones has chosen to depict in his portrait? Anyone is permitted to visit our Archives Research Room to view Gerard’s Herball during our opening hours. To book an appointment or find out more, please email archives@surrey.ac.uk.